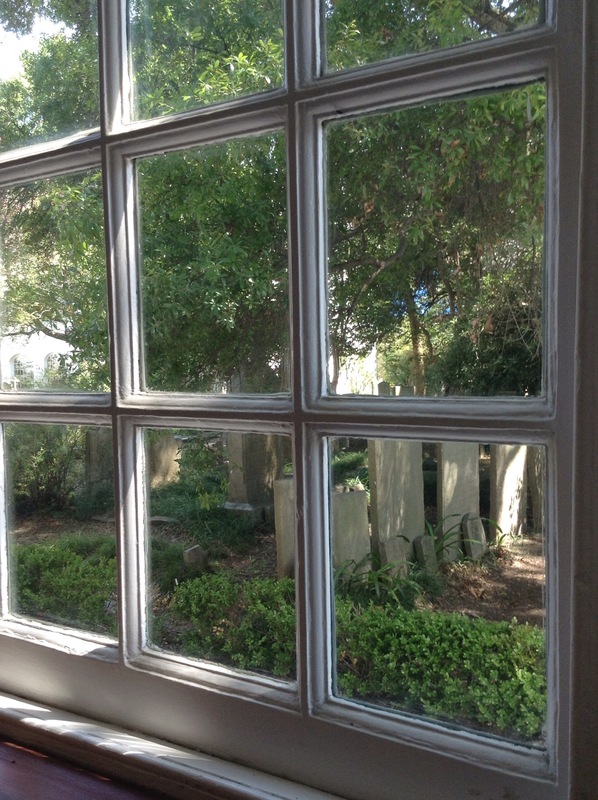 Last week, I vacationed in Charleston, S.C., with a dear group of friends. The bourbon and gin flowed with joy as the lowcountry boil and buttermilk biscuits secured our stomachs with weighted, culinary love. There were runs on white powdery beaches as well as reading time under the shade of a large straw hat. By the end of the week, our tans were darkening and our waistlines were expanding. To atone for our vacation sins, we embarked on an impromptu church crawl around the city center. Charleston is aptly called the Holy City. Its skyline is punctuated with the long, straight steeples of its many churches. In a day, we visited nine churches, and that was only partially putting our big toes into the city’s expansive church pool. The churches were beautiful. Many still had whispers of the Georgian Colonial style I love so well. Some had jewel-toned stained glass and one had horrifying, full cheeked cherubs that stared down at you from the ceiling (Good grief, the late Nineteenth Century likes to ruin everything). And all of them had small graveyards, carefully fenced and curated. These tiny plots were my favorite part of the church crawl. Wandering through them (while minding fire ant holes) gave me a delightful sense of each church’s social legacy. I got to meet the extended community of believers because the church still held them close, embracing them with stone walls and picket fences. Such an embrace struck me as some quiet, but deliberate manifestation of neighbor love. I’m glad my tanned, vacationing body unexpectedly waddled into it. This weekend, I totally had my mind blown in the kitchen. It wasn’t due to the discovery of a new recipe, but to the enhancement of an old one. …And am thoroughly disappointed with the results. My hummus always tastes flat. Its flavors, light and acidic, never seem to have any grounding. But that was all changed last weekend when I added a 1/2 a cup of plain Greek yoghurt to the mix—a offhanded suggestion I noticed in the comments section of a recipe blog. Gosh, did that 1/2 a cup of plain Greek yoghurt make a difference! Its tangy but creamy flavor finally gave my hummus a decent base on which all the other flavors could both rest and be complimented by. And for the first time in five years, I was not disappointed with the results. It’s funny how something so small and simple can make a difference, how a subtle change has the power to be not so subtle. For me, such knowledge is marvelous. In cooking and in life, new recipes and new situations will totally blow our minds. They should, we’ve never encountered them before. But, it’s nice to know that the tiny things can also make a huge impact. Alter one ingredient or one life choice, and you get something new out of something familiar. There is magic in that. 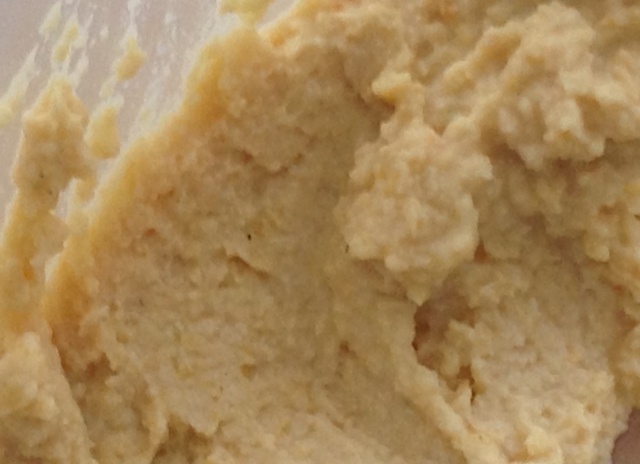 Blend cooked chickpeas with a blender, adding a little cooking water to make a paste. Add the rest of the ingredients and mix thoroughly. Adjust spices and lemon juice to taste, sprinkle with chopped parsley, and serve with vegetables, pita chips, or wheat soda bread.